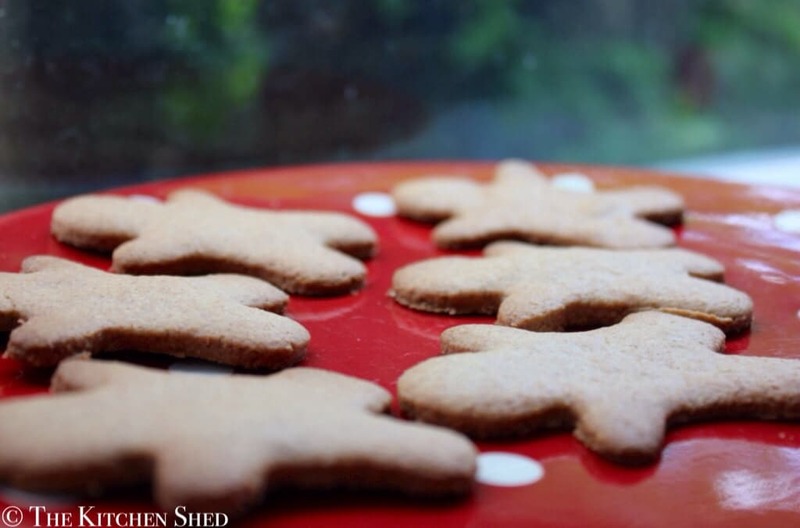 I am so excited about these little gingerbread men. All I ever wanted when I first started clean eating was to be able to make treats with my boys that only used whole natural ingredients. Kids LOVE to help out in the kitchen and especially love to bake delicious treats to enjoy and who says you cant still have that experience and eat clean at the same time?! These treats would be great for Christmas gifts, or to hang on the Christmas tree. You could even let the kiddos decorate them with button raisins before they go into the oven. My boys love them with a cup of freezing cold milk and I love watching them enjoy such a lovely treat! These treats would be great for Christmas gifts, or to hang on the Christmas tree. You could even let the kiddos decorate them with button raisins before they go into the oven. Preheat the oven to 180*C and lightly grease a baking tray with coconut oil. Place the flour into a mixing bowl and add the ground ginger and baking powder. Whisk to combine. Add the honey and melted coconut oil and stir together with a wooden spoon until the mixture forms a ball of dough. Roll the dough out between two sheets of grease proof paper until it is a couple of millimeters thick. Place the rolled out dough into the fridge on a flat surface to chill for 15-20 minutes. Once hardened, remove the dough from the fridge and peel away the top layer of grease proof paper. 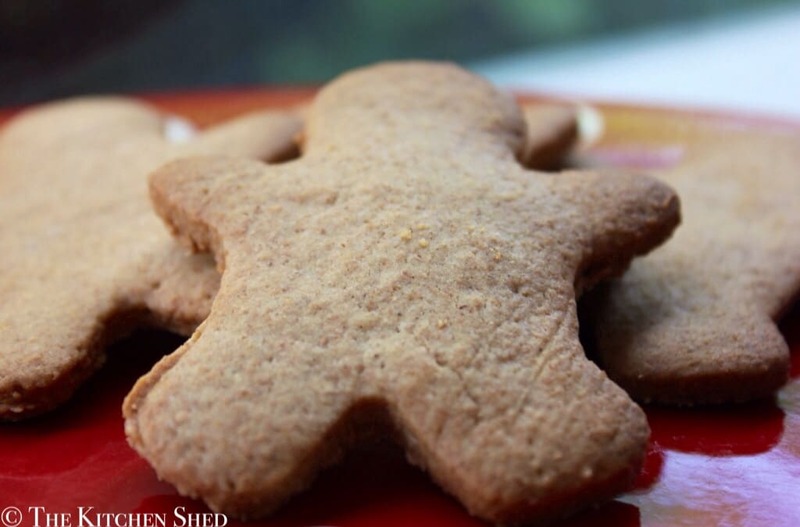 Using a gingerbread man cookie cutter, cut out the gingerbread men as quickly and carefully as you can - the dough can break if you are not careful and begins to soften quickly. Place each of the gingerbread men onto the greased baking tray and place into the oven for 8 minutes until golden brown. Roll up the rest of the dough into a ball and repeat the rolling out process, followed by refrigerating, cutting out and then baking. Once the cookies are cooked, carefully remove them from the baking tray with a spatula and allow them to cool on a wire rack. 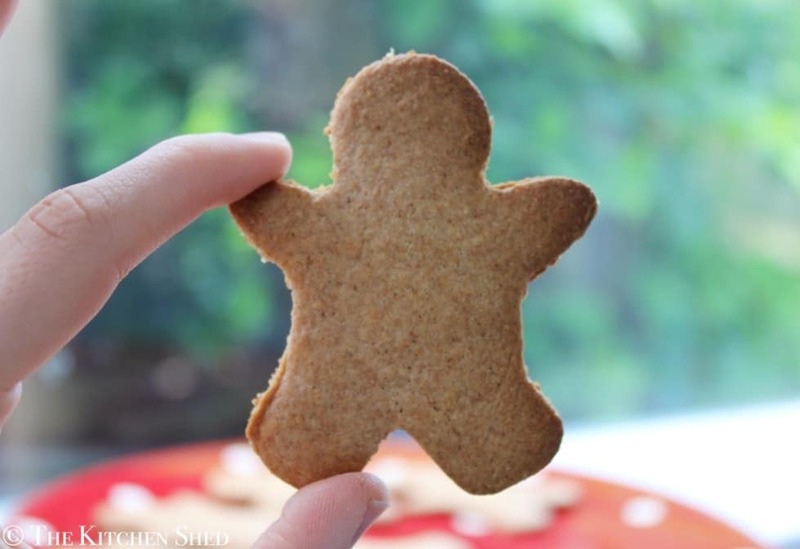 Don't throw away any leftover dough, even if you cant cut a gingerbread man out of it, still bake it and enjoy the extra treat! These keep well in a airtight container in a cool dry place.